Modern wars are no longer fought in trenches, but from above via satellite surveillance and fighter jets. While military technology has gotten quite advanced over the years, it is still up to soldiers, pilots, and analysts to operate these advanced machines in order to ensure their optimal performance in combat. Still, some machines are more advanced than others and although their accuracy depends largely on how well they are maintained and operated, those built to higher standards do in fact offer a great advantage in a war zone. Most specialists agree that aviation is without a doubt the backbone of any modern army, so let us take a closer look at today’s top 10 most advanced fighter jets in the world. 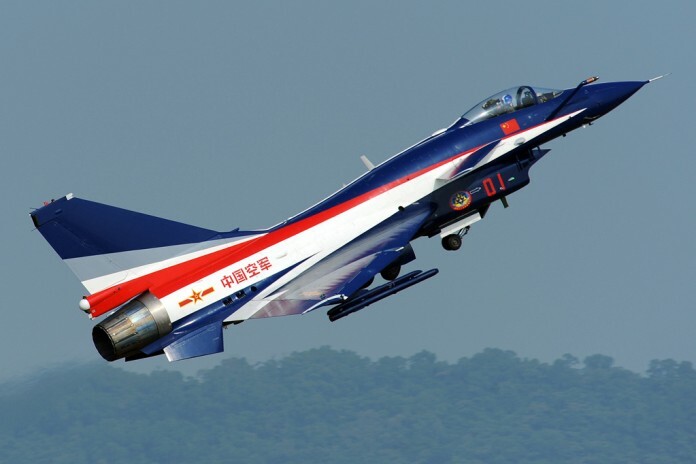 This multi-role fighter is the first Chinese-made combat aircraft that operates at a similar level as Western fighters as far as performance and capabilities are concerned. Intended to counter Soviet-made forth-generation fighters MiG-29 and Su-27, the Chengdu J-10 surpassed its initial role of a superiority fighter over the years, each upgrade bringing it closer to a multi-role fighter and a rather good one as well. The J-10 features most of the technologically-advanced systems you would find in a Western-made multi-role fighter, which is why it has been proposed for export recently, one of the many weapons China has started selling worldwide over the past few years.